Nice and subtle, but with a slow burn that will creep up on you. This is the perfect accompaniment for rice and savoury dishes. Add some to your salsas and marinades for extra tartness and punch. But you HAVE TO try it on garlic shrimp – it will blow your mind. We personally give this a 1 out of 6 as far as heat goes. No artificial color, flavor, preservatives or additives. All natural products. Gluten Free. INGREDIENTS: Mango puree, garlic, onion, yellow pepper mash, vinegar, lime juice, salt and sugar. 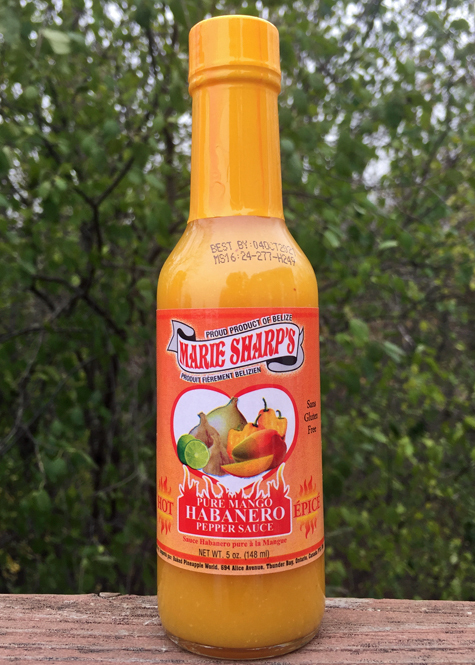 Marie Sharp’s Mango Habanero Pepper Sauce is the finest product of its kind. This unique mango-based blend achieves the perfect balance between flavor and heat. Nestled in the foothills of the Mayan Mountains, Marie Sharps factory still creates products the old-fashioned way: using the freshest vegetables and the finest ingredients. Her secret homemade recipe utilizes the potent yellow habanero pepper. 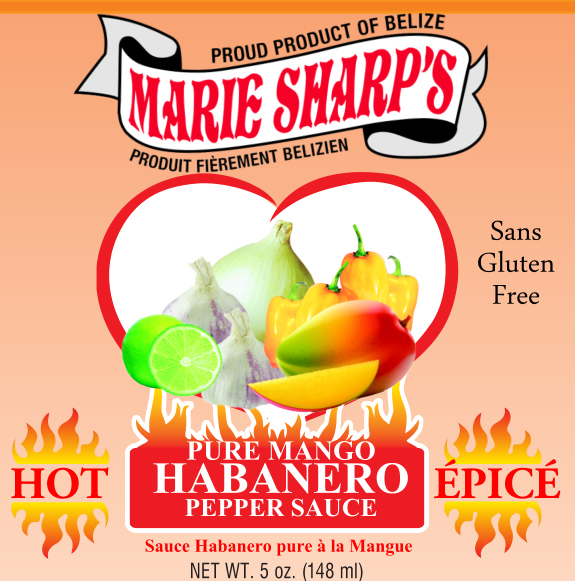 Produced in the fertile paradise of Belize using the yellow habanero pepper. 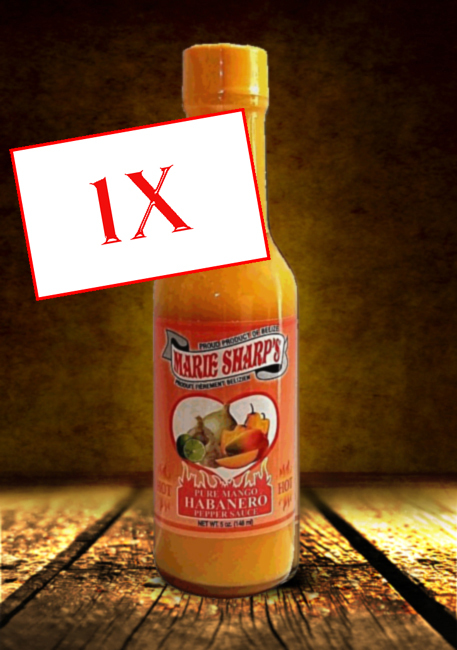 Marie has spent many years cultivating an habanero worthy of her recipe.